Rail technology leader Bombardier Transportation, as part of the Rail Systems Alliance (RSA), has won the contract to install its next-generation, high-capacity rail control solution for the 11 billion AUD Melbourne Metro Tunnel Project, Victoria's largest ever investment in public transport. The RSA comprises Bombardier Transportation, CPB Contractors, Melbourne Metro Rail Authority and Metro Trains Melbourne. Bombardier will deliver the signalling and rail control solution and systems integration. The value of the RSA Signalling and Communications package awarded by the Victorian State Government is approximately 1.1 billion AUD ($862 million US, 730 million euro). The contract for Bombardier is valued at approximately 310 million AUD ($238 million US, 202 million euro). 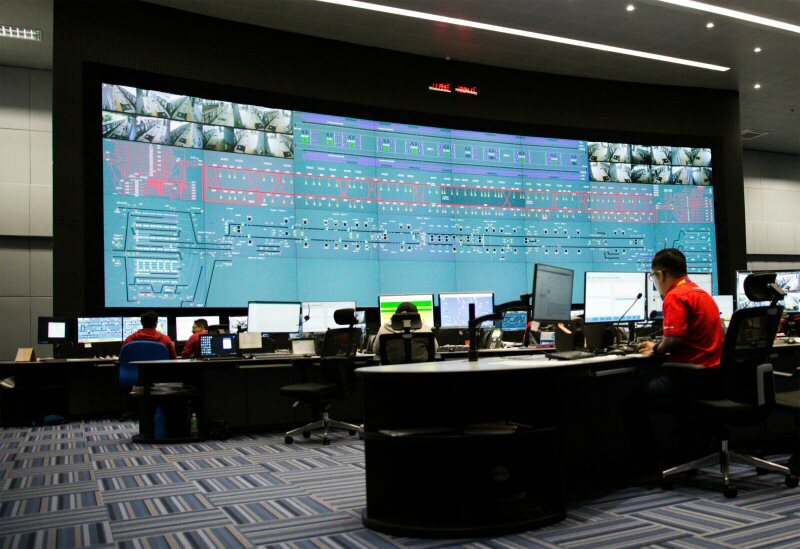 "The BOMBARDIER CITYFLO rail control solution is already moving cities across the world including Madrid, Bangkok and Kuala Lumpur. Once installed in Melbourne, passengers will see services along the line safely run every two to three minutes", said Andrew Dudgeon, Managing Director of Bombardier Transportation Australia. "As the first high-capacity rail control project in Melbourne, and the first on an existing system in Australia, Bombardier is very excited to be working with our partners on this highly collaborative project to deliver the Victorian Government's vision of 'More Trains, More Often,'" he added. Over 235 million passenger trips were made on the Melbourne Metropolitan Network from 2016 to 2017, a number forecast to grow significantly over the next 20 years, and Bombardier's advanced CITYFLO 650 rail control solution will help Melbourne meet this sharp capacity increase. The system to be installed on the Sunbury to Cranbourne/Pakenham Lines, including the new twin 9 km tunnels, will provide the city with its first high-capacity, metro-style operation, major capacity improvements and reduced journey times. The RSA will also develop skills through training and ensure an 80% spend on local equipment and raw materials. The system will be ready for operation in 2026. With a 15-year service record and operating or in delivery on 37 lines worldwide, Bombardier's well-proven CITYFLO 650 solution can be installed quickly on new lines or with minimal disruption to existing services. Bombardier has been active in Australia for more than 60 years, delivering its extensive portfolio of winning mobility solutions from train and tram fleets to signalling, propulsion and control technology, mining solutions, asset management and through-life support on rail projects across the country. Bombardier is headquartered in Montréal, Canada and our shares are traded on the Toronto Stock Exchange (BBD). In the fiscal year ended December 31, 2016, we posted revenues of $16.3 billion. News and information are available at bombardier.com or follow us on Twitter @Bombardier .